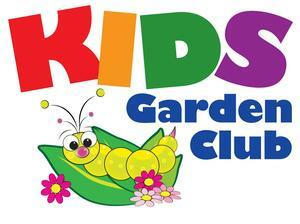 Glazier will host its Garden Club on Friday, November 16 & 30 from 2:17 - 3:00 for students enrolled. Glazier will be hosting a Magic Show on Friday, November 16 for students that sold more than 90 candy bars during our previous Candy Sale. All students who were unable to take pictures at our prior Picture Day or would like to retake their picture will get the opportunity to take their picture on Wednesday, November 7, for school records. This year's PTA Membership Drive ends on Friday, November 2nd. Membership is only $8 and supports many of Glazier's academic achievements, extra-curricular programs, heath/safety awareness and SO much more. We thank EVERYONE who has already offered their support by joining. 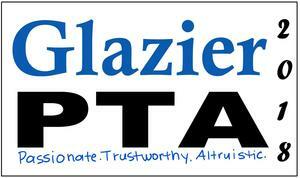 Click the Headline to see just how much PTA helps Gladiators be "Future Ready." Join the Fun and Festivities. Enter the Homemade Chili Beans Contest! Dress in Your Best Dia De Los Muertos Wear! Game Tickets 50 are cents each! Raffle Tickets are $1.00 each! 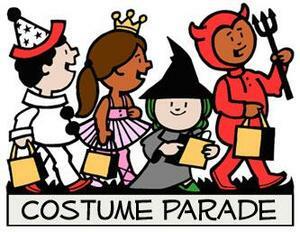 Students will get a chance to show off their Halloween costumes during the Costume Parade on Wednesday, October 31st beginning at 8:30 a.m. Judges will be looking for winners for Most Original, Scariest and Funniest Costume. Parents are welcome to observe the parade but are asked to sign in as a visitor in the office. For our 5th grade parent who have students who are currently at Science Camp, we will be appearing one the live webcam later this week. The camera automatically refreshes every 5 seconds and is not a continuous live feed. Click the link above to see us then! It's Cool To Be Drug Free! MONDAY - Shade out Drugs TUESDAY - Drugs Don't Mix with Our Future. WEDNESDAY - NLMUSD District-Wide Red Day THURSDAY - Be On A Drug Free Team FRIDAY - Glazier Superheroes Are Drug Free. Monday, October 9 - Friday, October 12 teachers will make themselves available to celebrate your child's success and showcase their academic progress during the first trimester! There will be early dismissal - 12:45 - every day.